 Oftentimes, Nigerian celebrities are put through a lot of insults and lewd comments which come from fans and followers. While these highly placed people might choose to ignore the abuses thrown at them, sometimes, they decide to reply in a way that both vindicates them and also shuts their trolls up. Popular female musician Yemi Alade decided to opt for giving back a savage response after a troll took to her Instagram page to voice out a strong disapproval of the singer. The troll identified as @maodreys reacted to a picture Yemi Alade posted online. The singer who seemed to be in a very good mood expressed her innate joy and happiness by posting a photo of herself while shaking herself up and doing a good dance. Yemi then went on to share a caption that surmises her mood: "FORGET! I AM A WHOLE F**KING MOOD! !��” The award-winning celebrity was wearing a beautiful, short blue dress that flaunted her skin and showed just how attractive she was. The unquestioned beauty of the female diva plus the fact that she had gone on to acknowledge the love between Davido and Chioma in one of her most recent songs must have put off this troll whose full name is Audrey Onkemetse mothoagae. 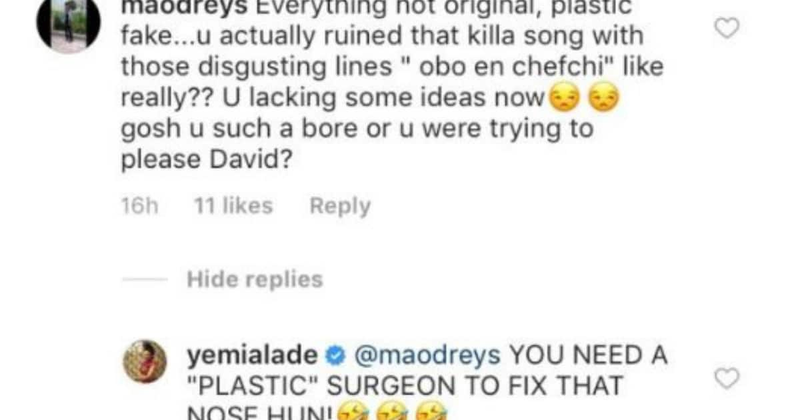 Hence, she took to the comment section of Yemi Alade's post to accuse her of enhancing her body by doing plastic surgery as well as to throw shade on her for referencing Davido and Chioma in her recent song. Upon reading this comment, Yemi decided not to look away, rather she gave the troll a dose of her own medicine. The music star simply told @maodreys that her nose just as well needed fixing from a plastic surgeon. Yemi said: "You need a plastic surgeon to fix that nose, hun." In the meanwhile, Legit.ng recently shared the story of how Yemi Alade hilariously replied a fanwho said she was getting much older. The celebrity has proven that, despite the disapproving comments of some people, she is not about to stop looking good.